Millions of men and women all over the world suffer from blotchy skin. These patches of red, and sometimes irritated or itchy, skin can appear anywhere on the body, but they are most commonly found on the arms, neck, and face. These blotchy patches can be caused by a variety of factors, such as weather, genetics, allergies, or environmental conditions. Luckily, there are ways to reduce the appearance of blotchy skin, including treatment options that are both efficient and non-invasive. If you have blotchy skin, it might feel like it’s a challenge just to step outside your house without makeup on your face. Red and blotchy skin – especially the kind caused by rosacea, acne, and even acne scars – can cause self-esteem issues, making it hard for sufferers to experience a confident and social lifestyle. Blotchy skin is usually associated with red, sometimes irritated and itchy skin, as well as darker patches of skin that most commonly occur on the face, but also the neck and other parts of the body. Broken capillaries, also known as telangiectasia, are more likely to occur if you have a dry, thin or sensitive skin or those suffering from skin conditions such as rosacea or acne. Commonly found on the nose and cheek areas, these capillaries sit very close to the surface of the skin, making them more noticeable. Both men and women can be affected, but due to hormonal shifts and pregnancy, women are more likely to develop this problem. It usually develops around child-bearing age and can worsen as we age. There are a variety of possible causes of blotchy skin. Chemical skin irritants like the ones found in perfumes, dyes, and detergents can make blotches appear, as can the rubbing of rough fabric against the skin. Dust and animal dander are other examples of skin irritants. Environmental factors like allergens in the air, extreme hot or cold, and strong winds are also major causes of skin blotches. Genetics, stress and hormones can also play a role in your skin having a blotchy appearance. Fair skin shows redness and irritation more prominently than dark skin, so those with fairer skin are more susceptible to blotchiness. Women who are experiencing fluctuations in hormone levels are more prone to this issue. One’s genes can also make them more likely to experience it. Smoking can cause oxidative stress so that insufficient oxygen reaches the tissues resulting in blocking of the blood vessel, which in turn leads to dilation of the capillaries. 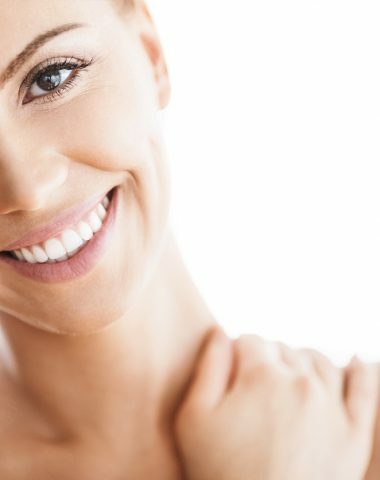 Intense Pulse Light treatment is a photo rejuvenation treatment that focuses primarily on irregular pigmentation, sun damage, and discoloration or brown spots on the surface of the skin or face. A broad spectrum of light is transmitted through a small, smooth, transparent handpiece which is gently placed over the skin. Cut-off filters in the handpiece change the wavelength range allowing it to be optimized for different applications and skin types. The light penetrates the tissue and is absorbed by either the blood when treating vascular lesions or the melanin when treating pigmented lesions damaging them. The body’s natural processes then remove the injured tissue giving the skin a more even and youthful appearance. Our team is committed to working with you to develop a synergistic approach for enhancing your skin’s health. Dr. Rao has extensive experience and expertise in skin care treatments in Edmonton.